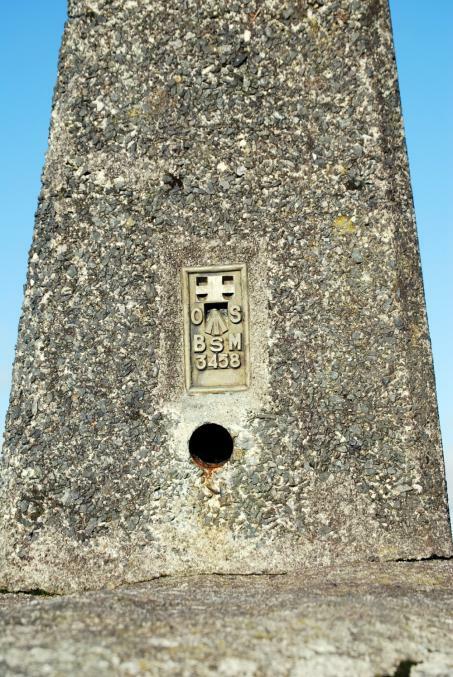 Is ranked joint 721st with 10 other trigs (more). 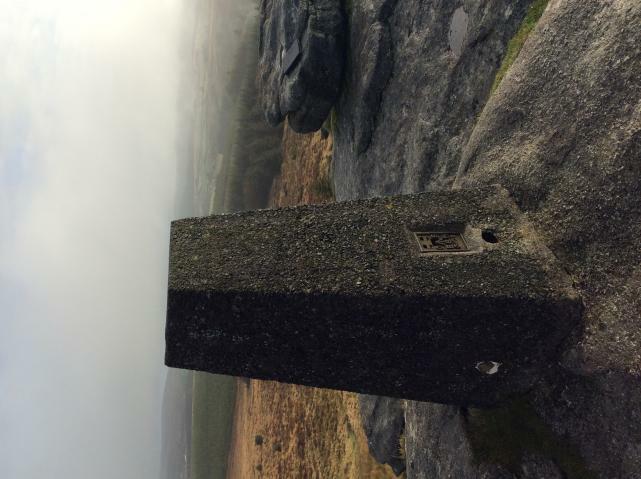 From Bellever after visiting Riddon Ridge and Laughter Tor on a cloudy day with a cold wind. 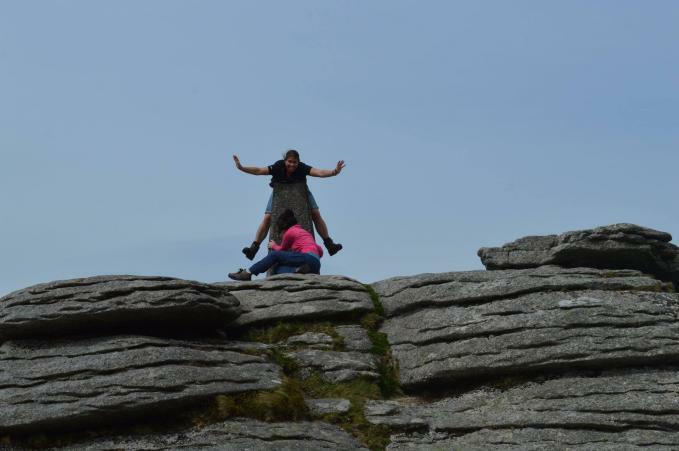 Scramble up the rocks, great view at the top! KJF Friendly ponies surrounding the summit. 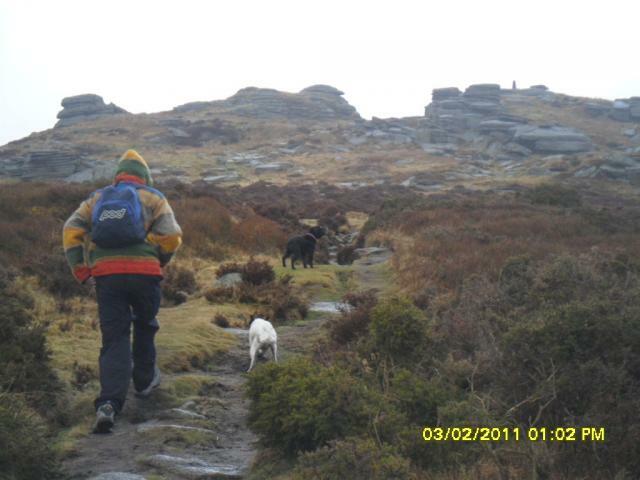 Walked up from the clapper bridge making use of the red walking route and links to find a pretty dry route to the top. Good views in all directions. Excellent views are Bellever and beyond. Tip,Park Higher Cherrybrook bridge,follow path through the plantation hey presto it's on the right .CREBER was my grandmothers maiden name . 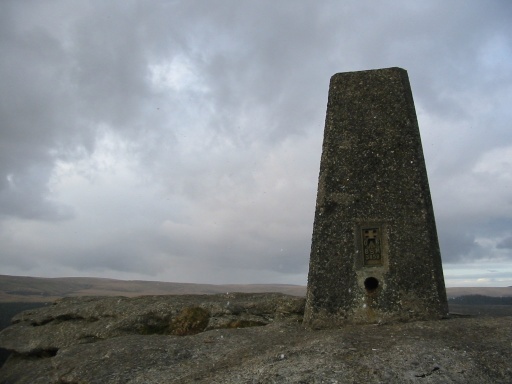 'planted' on top of tor. 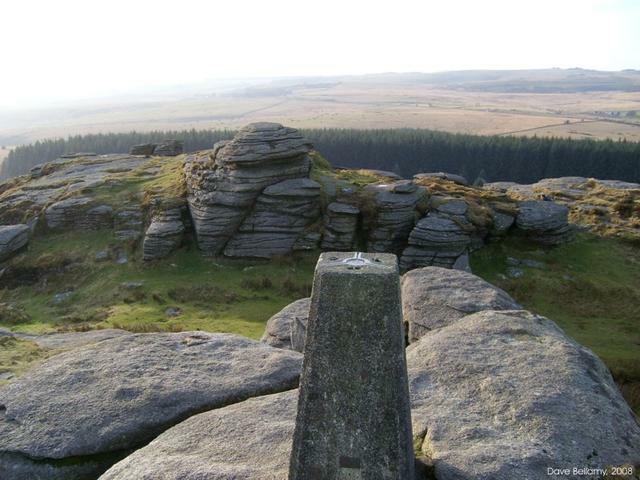 Great views and a justifiably popular place. 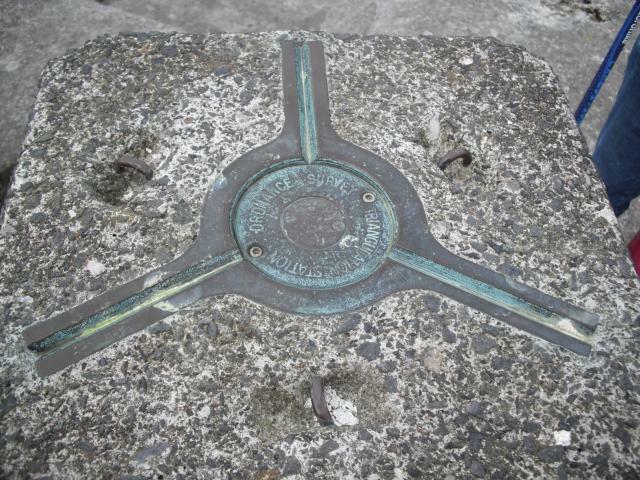 Visited today while on a little 8 mile caching walk. Great views & a great place for lunch. 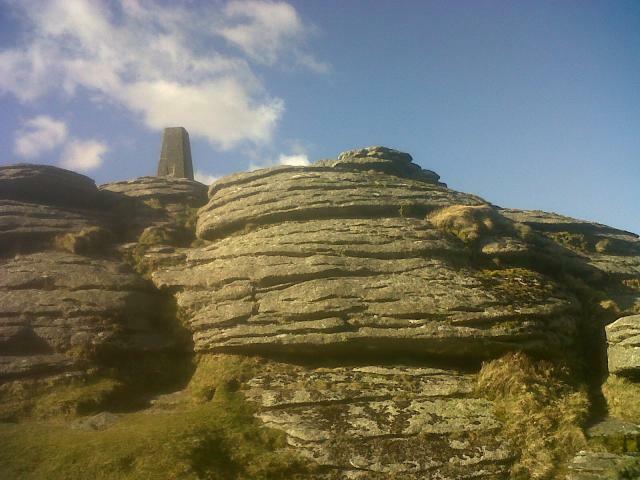 Lovely walk up to the tor. Terrific views. 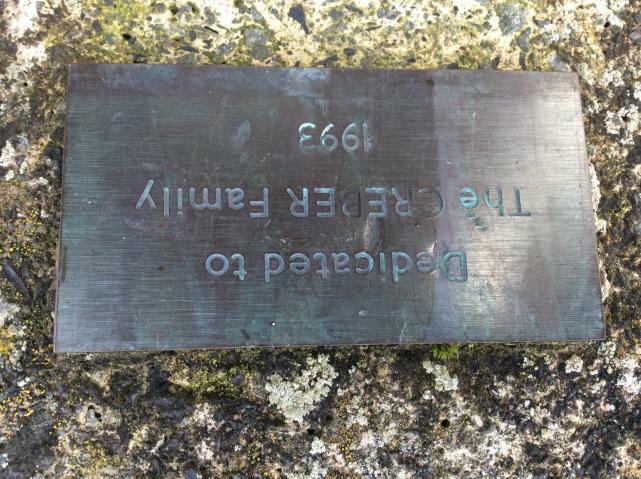 Visited today whilst in the area. 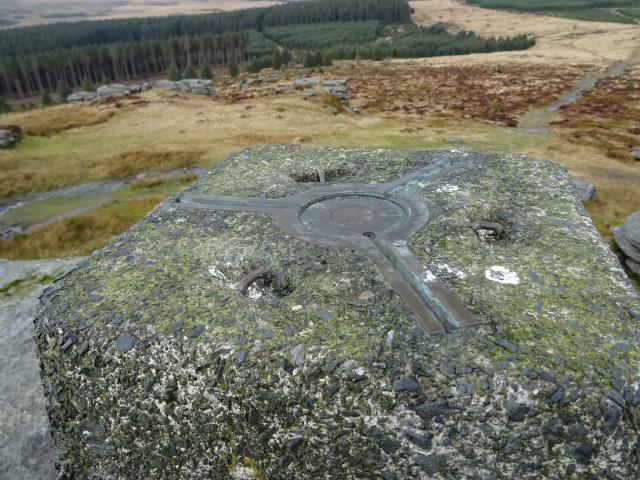 One of my favourite trig points with fabulous views of Dartmoor. 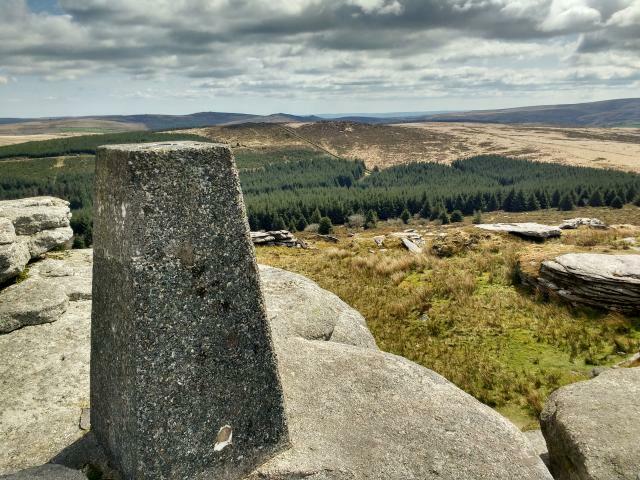 If perambulating Dartmoor in less than three days this is an unnecessary distraction - You would never bother at the end of the day, so don't at the beginning! ( great views though). 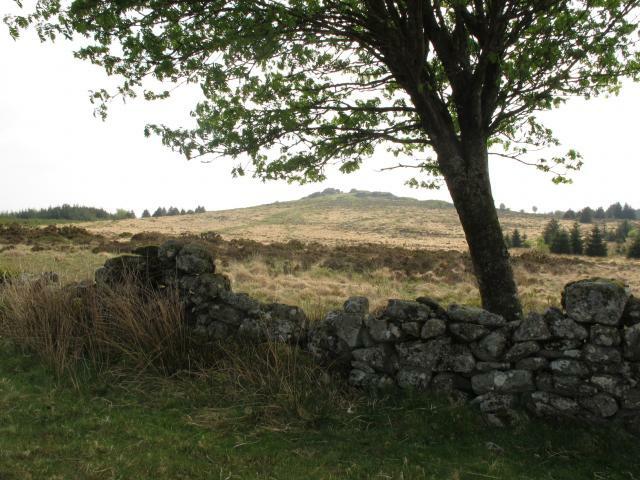 relatively easy access from youth hostel (Dartmoor/Bellever). 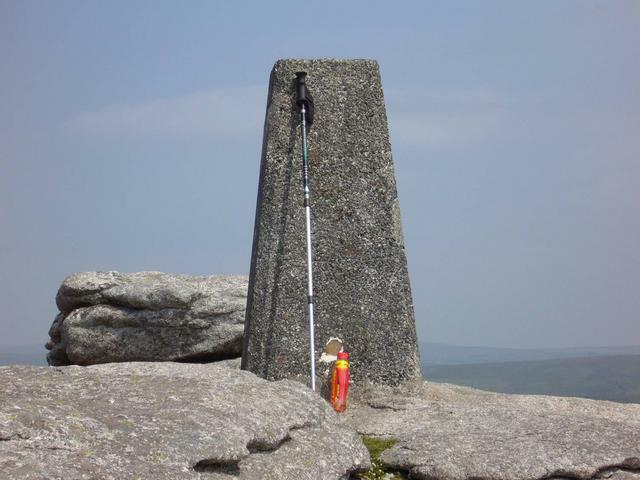 If using YH as a base for perambulation do this one on a different day and save your legs for the job in hand! 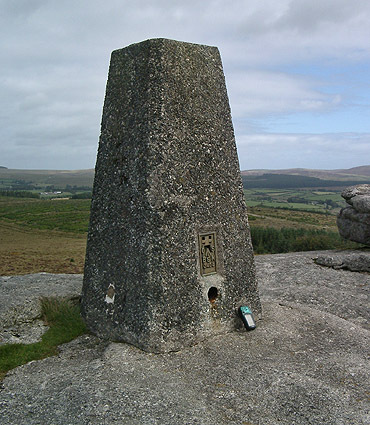 Pillar on high point of granite tor. 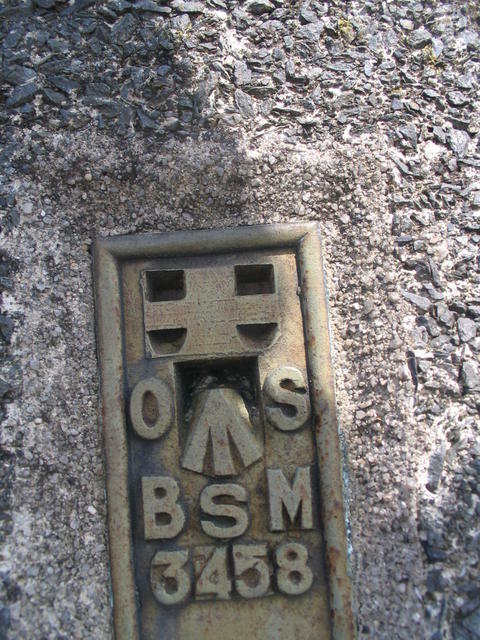 Original plug with slightly-indented letters. 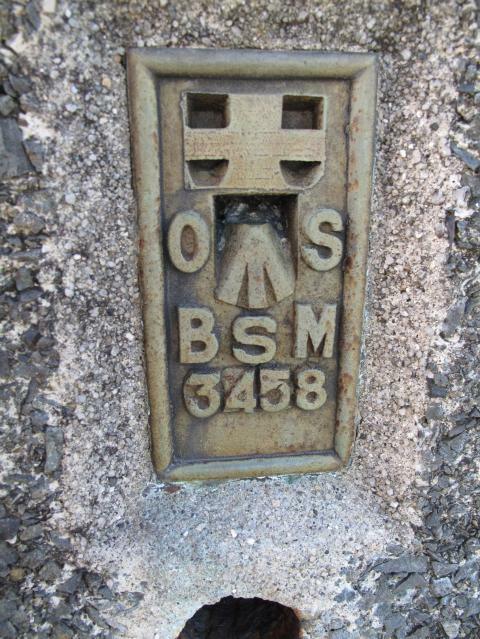 Flush bracket has 'raised S'. No paint. 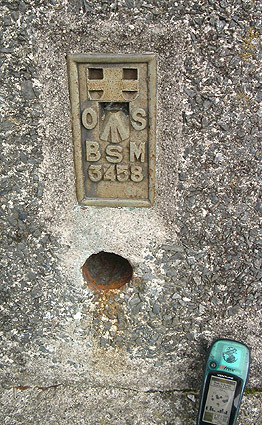 Sight hole below flush bracket open, others closed. 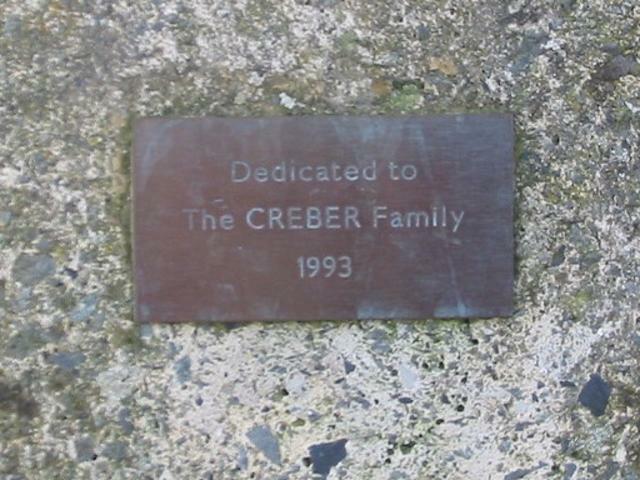 Small plaque dedicated to Creber family. 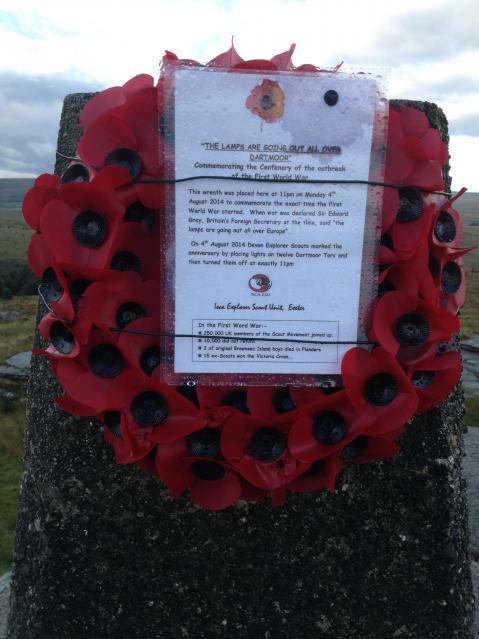 Currently has a WW1 wreath on it placed by local scouts. 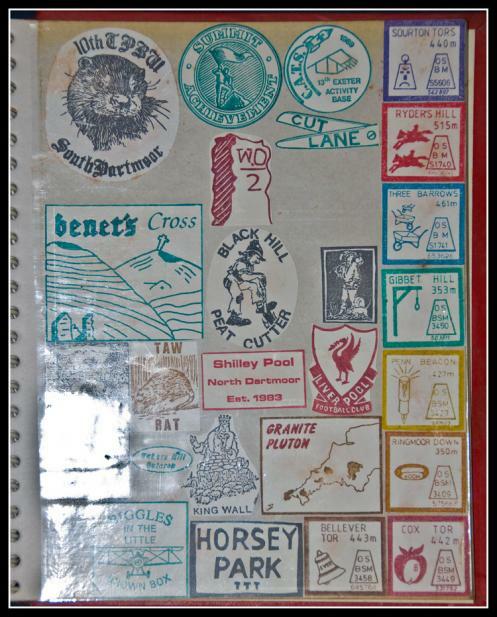 Lovely all-round views! Great views from here this morning. Gets dark quickly this time of year! 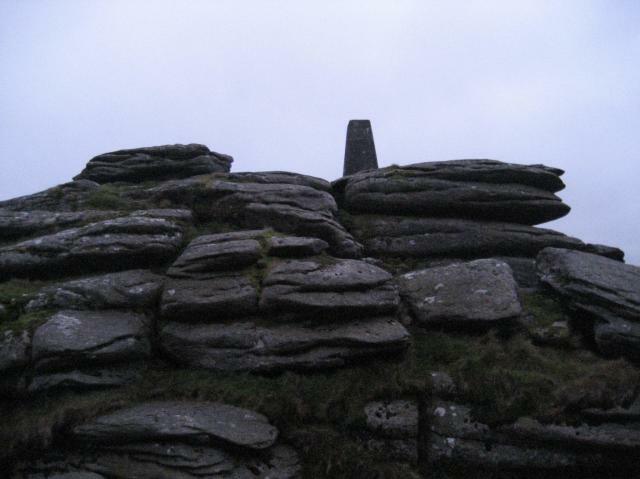 Arrived YHA 4pm, walked up here picking up 4 benchmarks on the way to find it almost dark. Pitch black by time I got back to hostel. 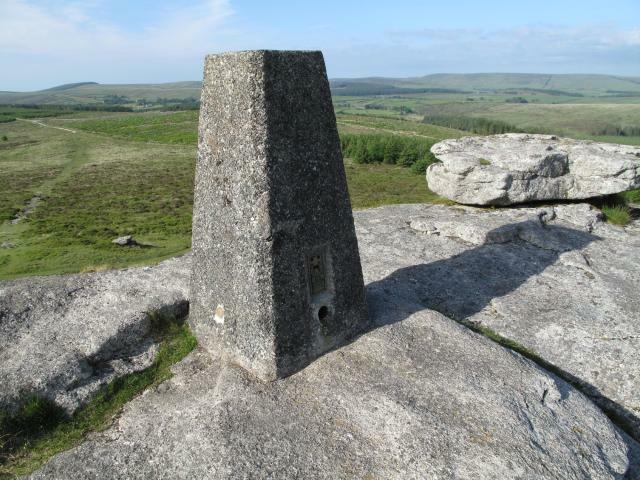 Interesting sensation alone (apart from Dartmoor ponies) on the moors after sunset though. 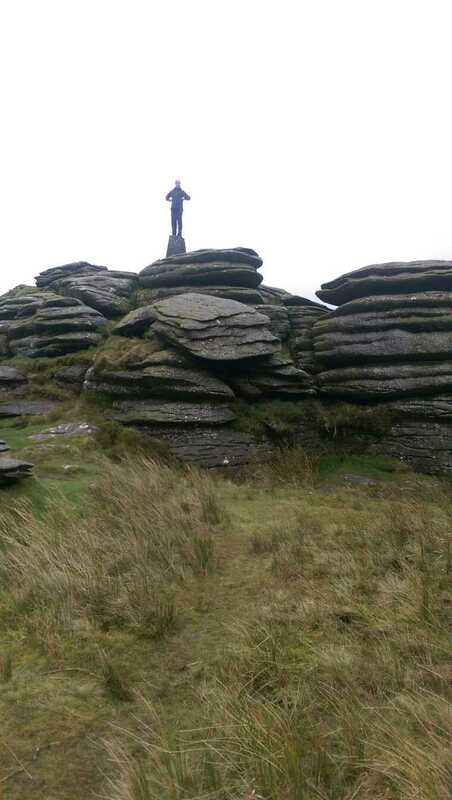 Trig perched high on the rocks on this typical Dartmoor tor. 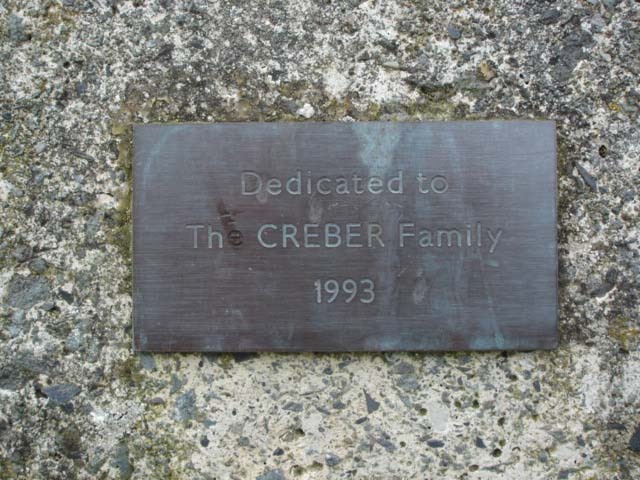 Pillar in good condition; original cap in place, lightly indented lettering; small plaque dedicated to Creber Family 1993. 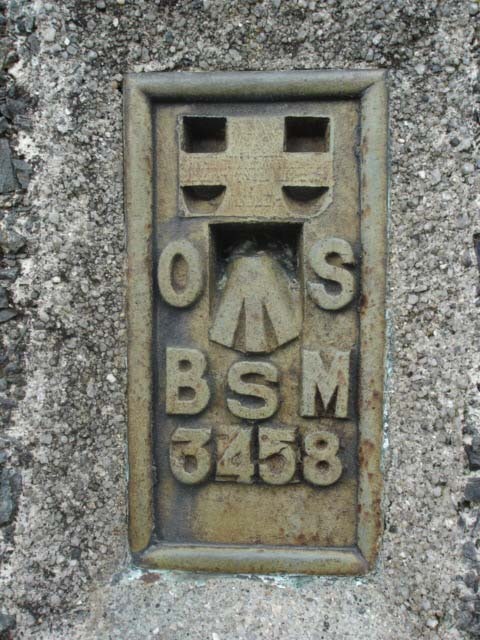 Loved this one - great walk up from the YHA amazing views - Pillar good condition. 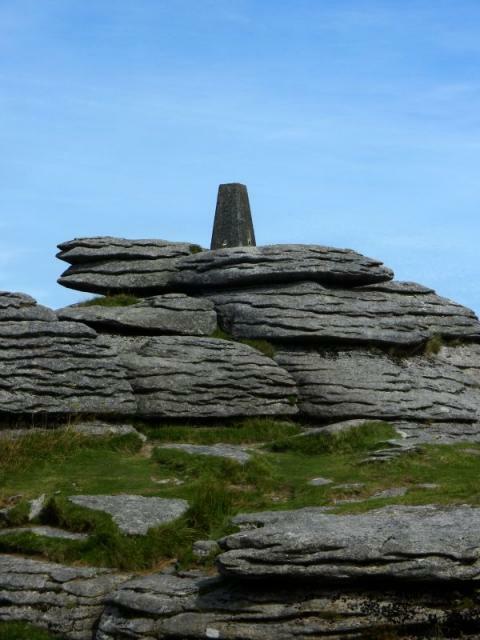 Triangular run, Dunnabridge - Bellever Tor - Laughter Tor - Dunnabridge. 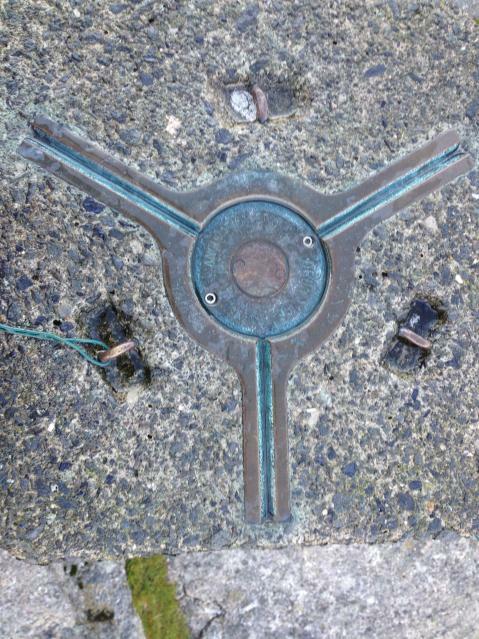 Trig in good nick - centre plate and FB intact. 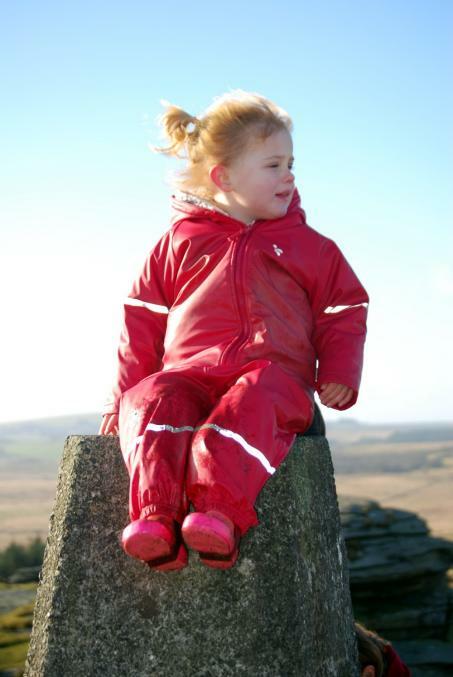 Excellent moorland views, even on a grey day. 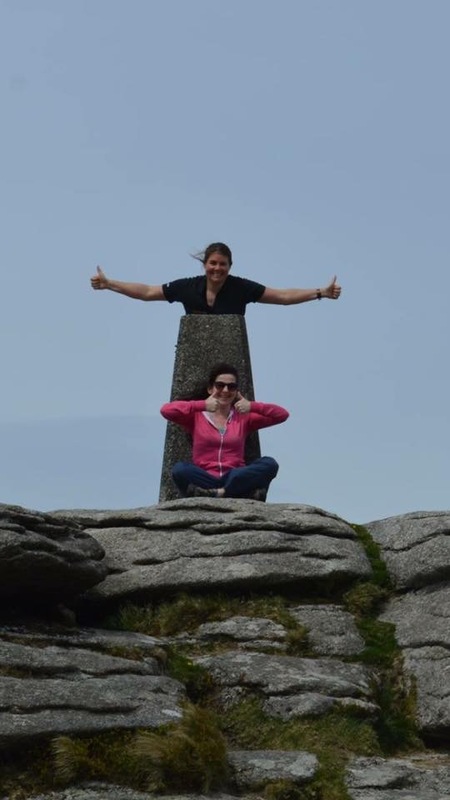 On a circular walk from Dunnabridge Pound to Postbridge and back, with the Old Man and Walking Cousin. 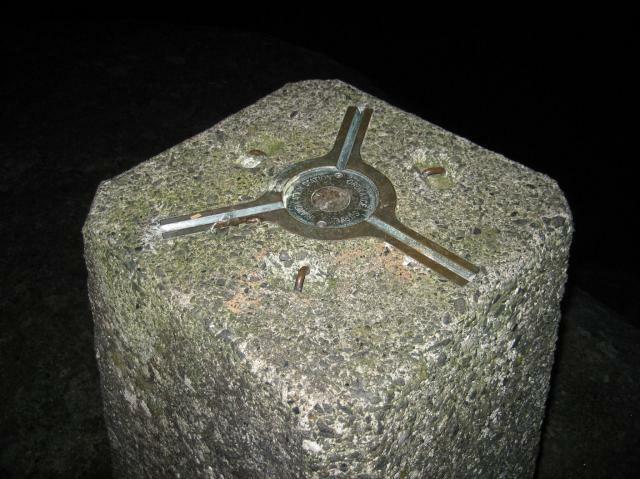 Bit of a scamble up to this one, and the first trig to have drawn blood in my attempt to log it! 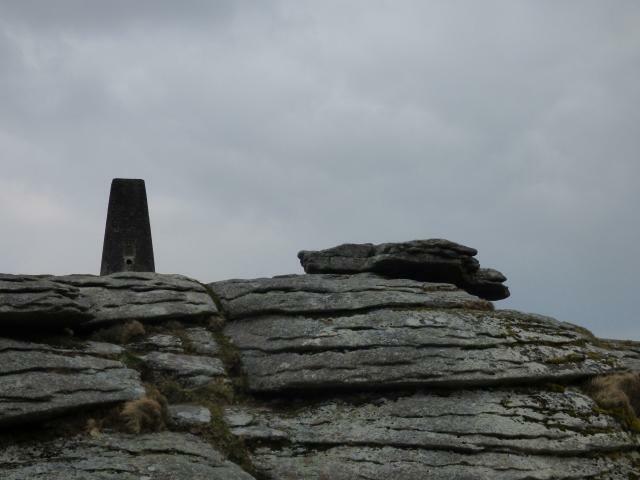 But in good condition, and views not bad despite grey skies, a howling gale and occasional heavy rain showers. 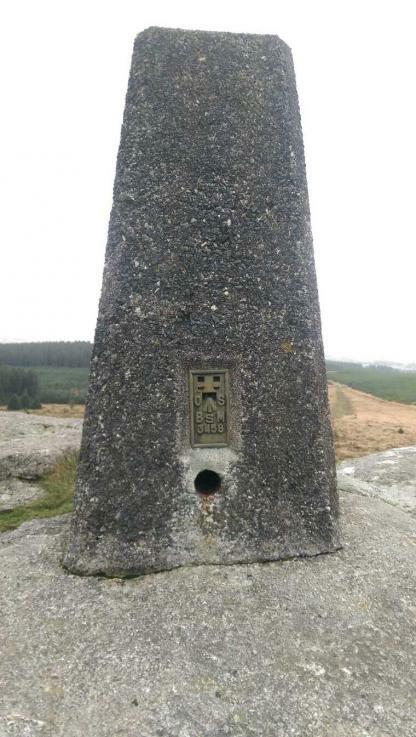 Pleasant walk around the Bellever Forest. 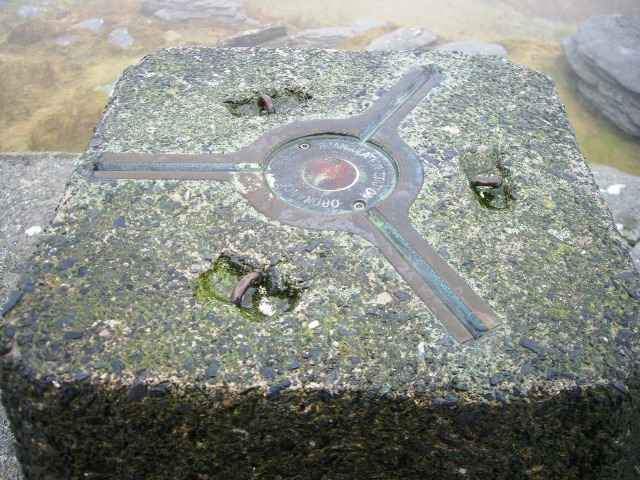 ON CYCLE TOUR OF DEVON AND CORNWALL. STAYING NEXT TWO NIGHTS AT BELLEVER YHA. 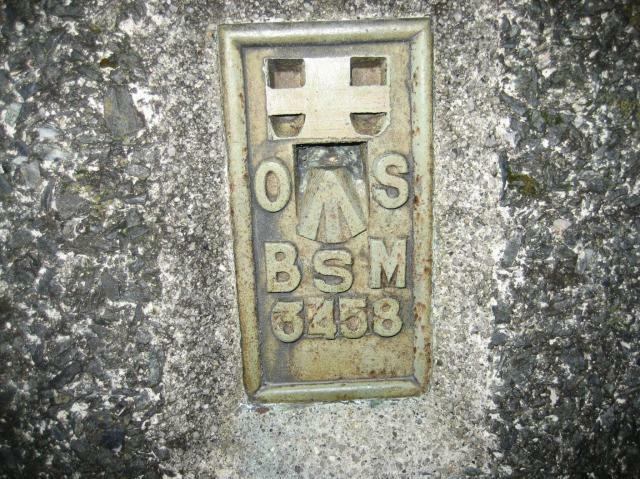 WALKED UP HERE AFTER EVENING MEAL TO BAG 10TH PILLAR OF THE DAY. DIDN'T LINGER AS ANOTHER DOWNPOUR THREATENING. 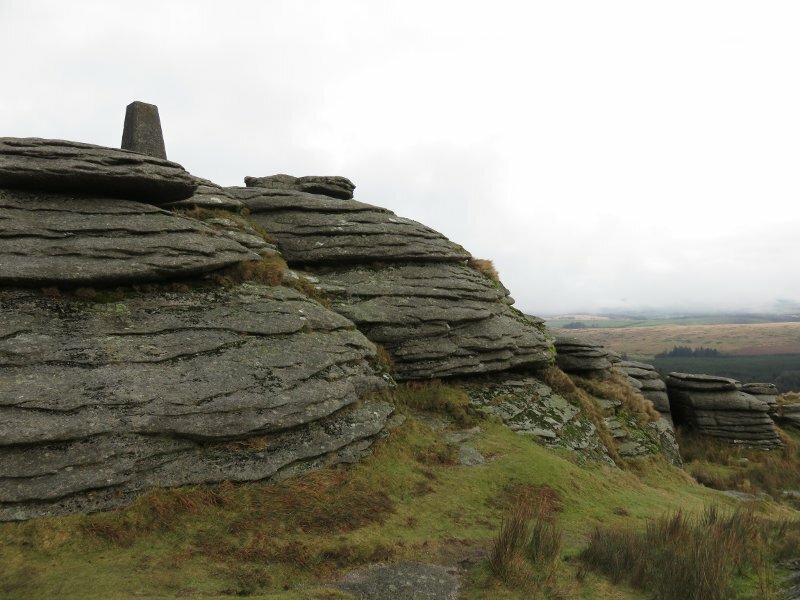 Walked up from the forest car park via Laughter Tor. 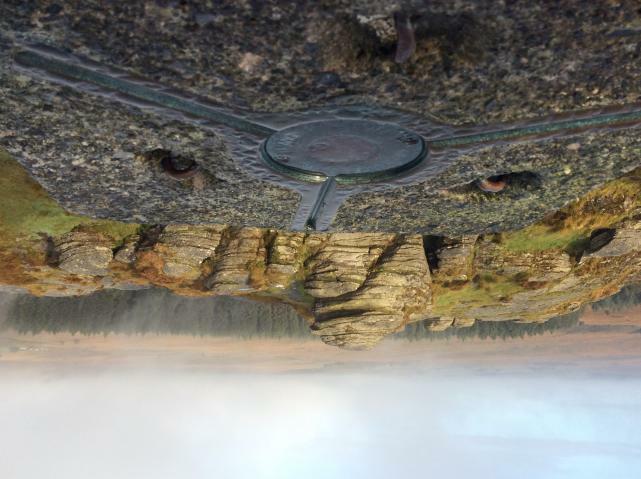 Very busy up here today so didn't linger but take time to enjoy the views. 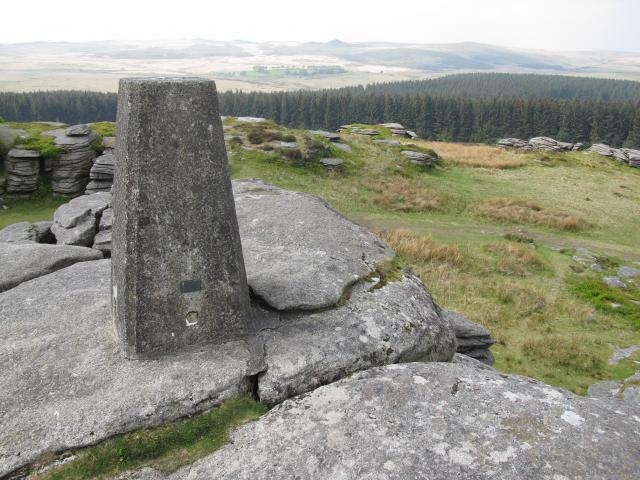 From the forest car park on the B3212 we followed the footpaths east through the woods, then south up to the Tor. Nice easy walk on a sunny bank holiday Monday. 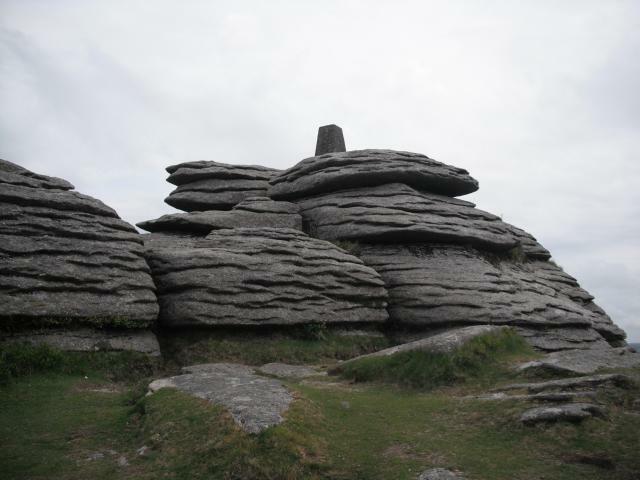 Had lunch on the Tor, and enjoyed some good views all over the moor. Great views from up here. 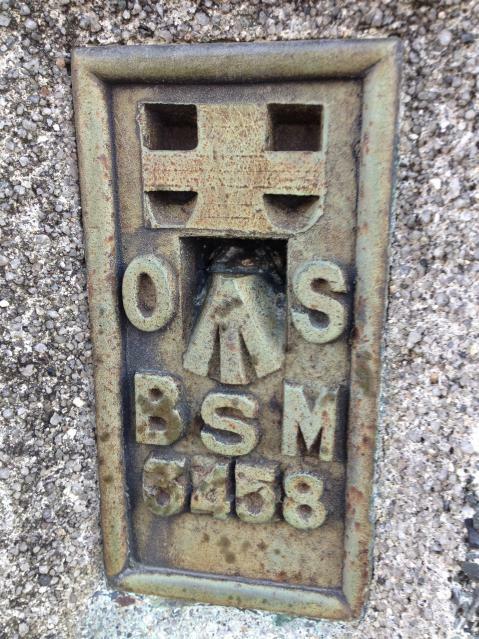 Discovered this whilst geocaching in the area. 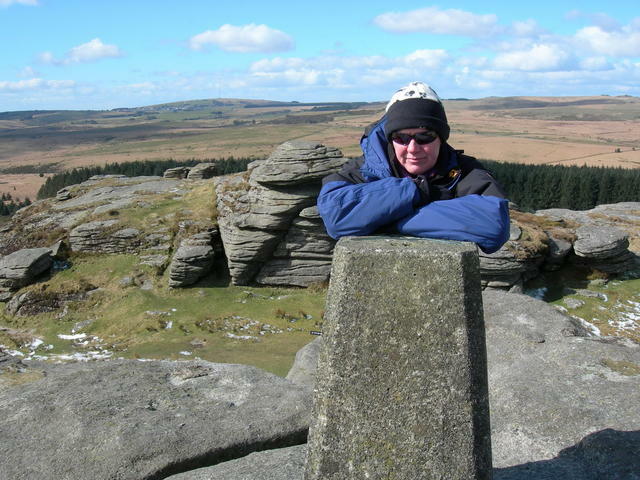 Superb views of the snow covered tors today in bright sunshine. 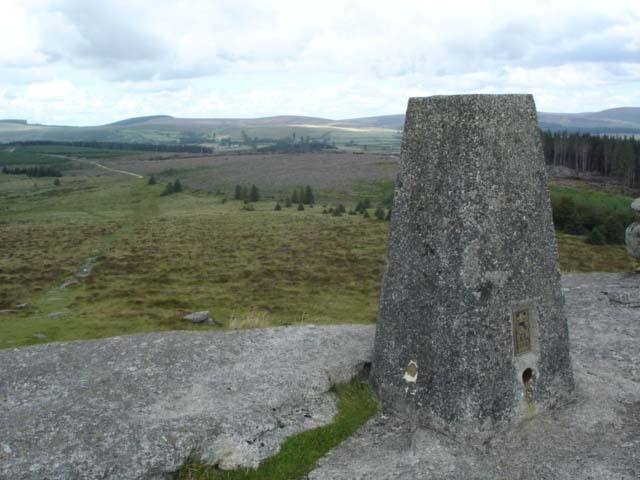 great trig, magnificent views and a nice walk up from Bellever. 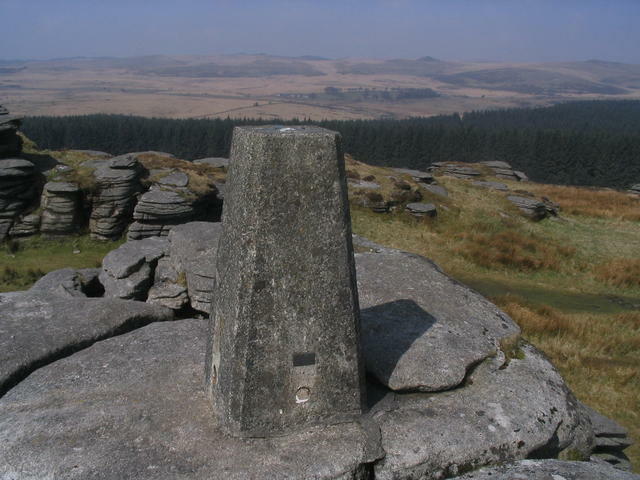 Fortunate to visit on a clear day to enjoy the all round views of Dartmoor and beyond. 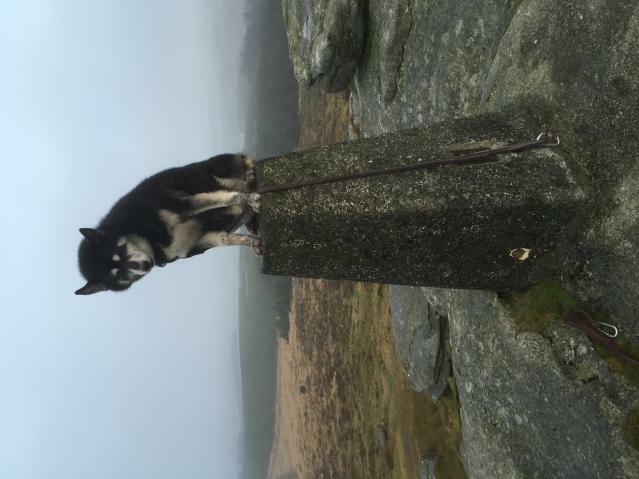 Trig sits perched on rocks. 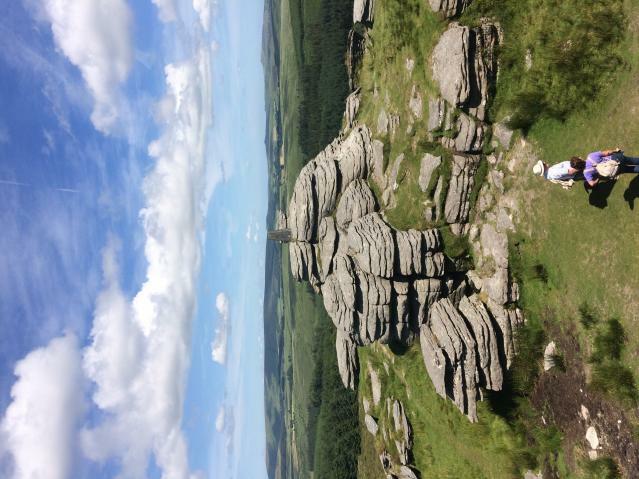 Great views around. 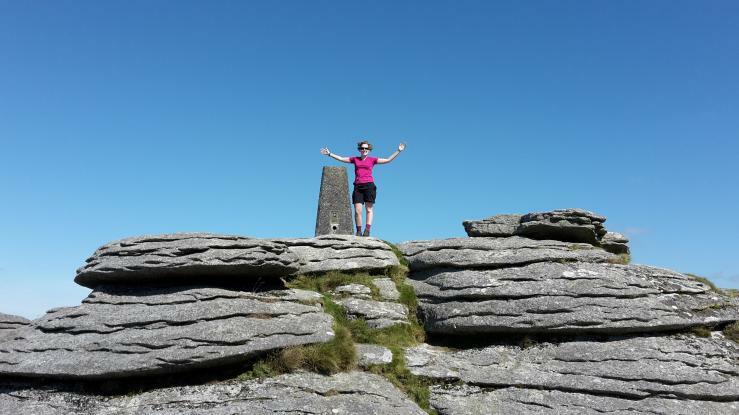 fantastic 360� views enjoying the sun. 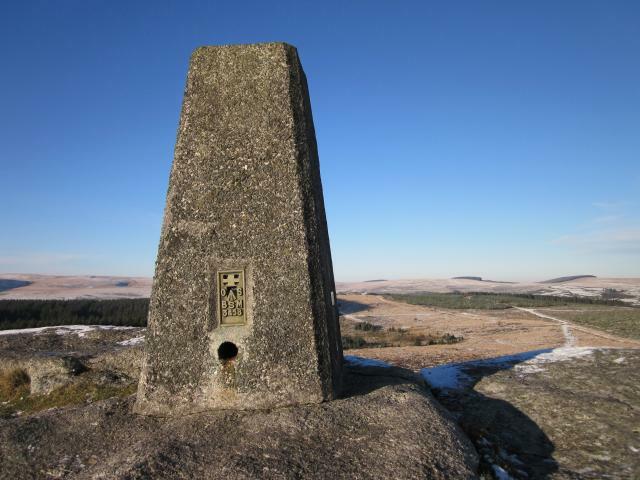 Lovely spot visited on my birthday .Pleasant walk from the main Princetown to Postbridge road. 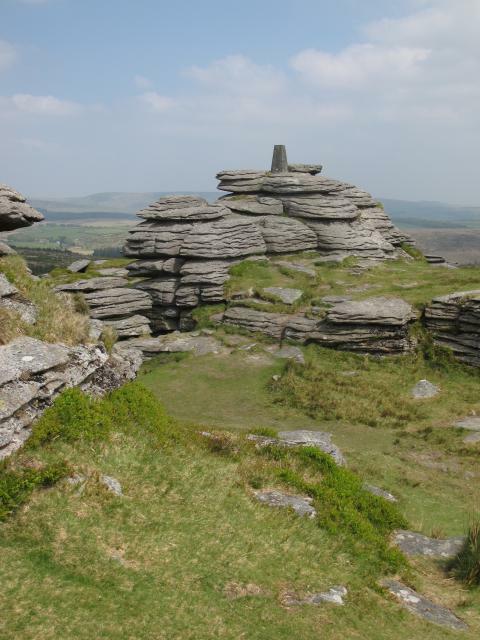 Good views and well worth a visit. 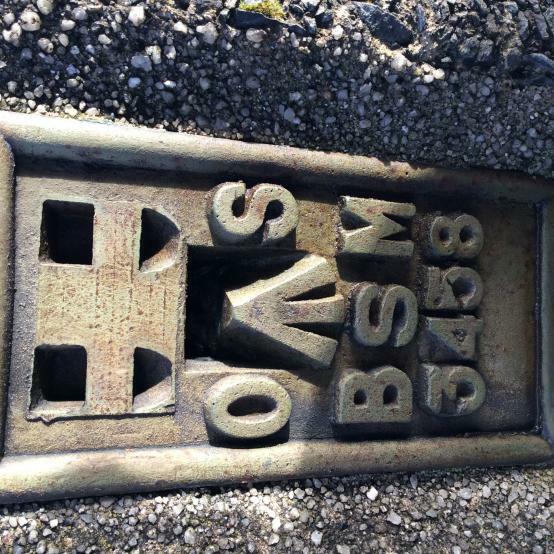 vgc, metal cap, shallow letters. 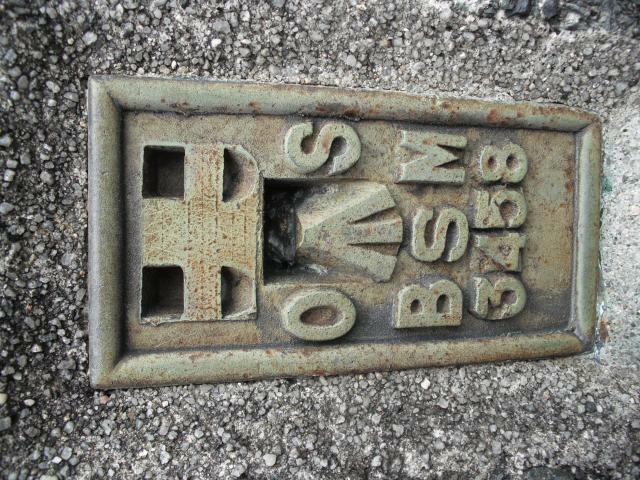 BSM style FB. 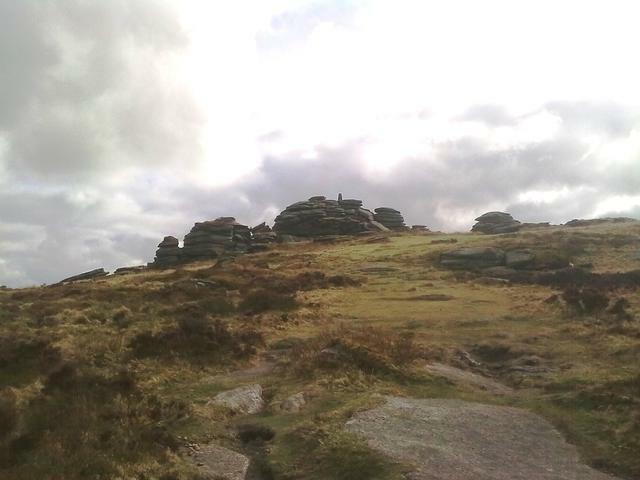 On top of tor, easy scramble up. Misty rainy morning: no view. Good path from S albeit a bit vague at start. Nice walk up through woods. 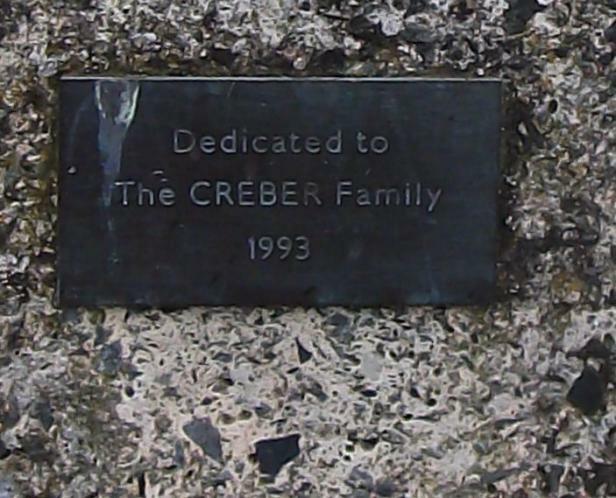 There is a plaque to the Creber family. Great views. 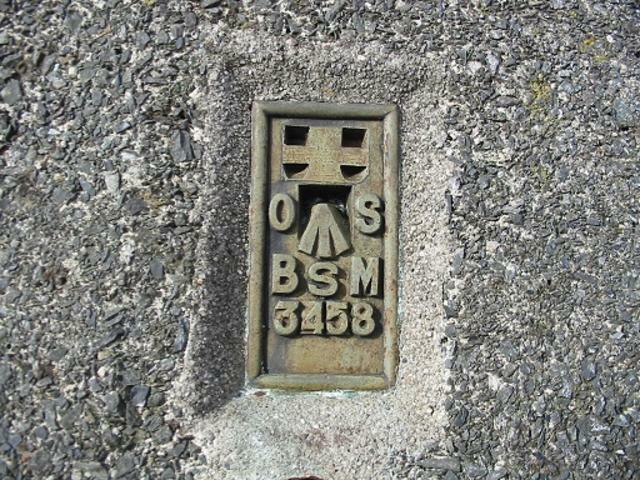 Metal plug with lightly indented lettering. 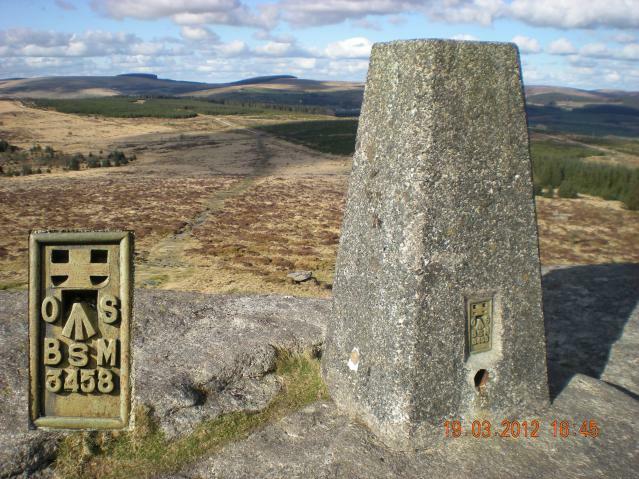 Helping out on the Ten Tors on a search for the missing. Great views all around. Showing some wind erosion on S and W sides. Plug in place. Great view all round. 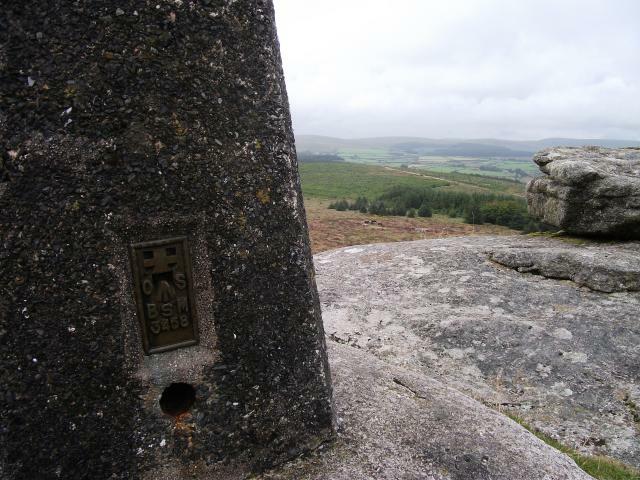 Another Dartmoor trig visited many times over years of letterboxing before knowing about trigpointinguk.com. This was always one of my favourite spots. 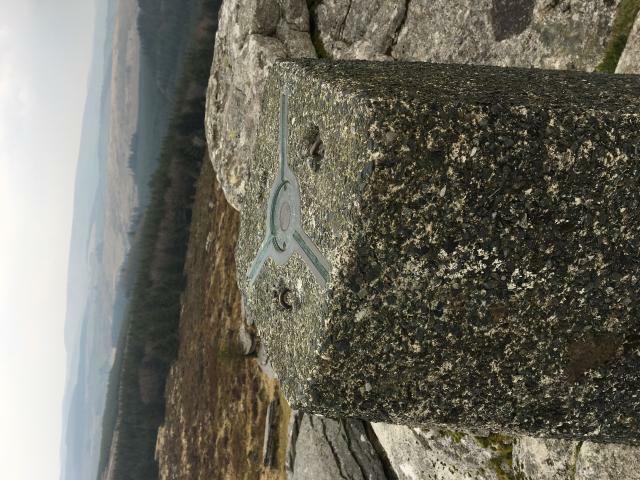 Excellent 360 degree views all around and great walk through the forest to get to this great site. 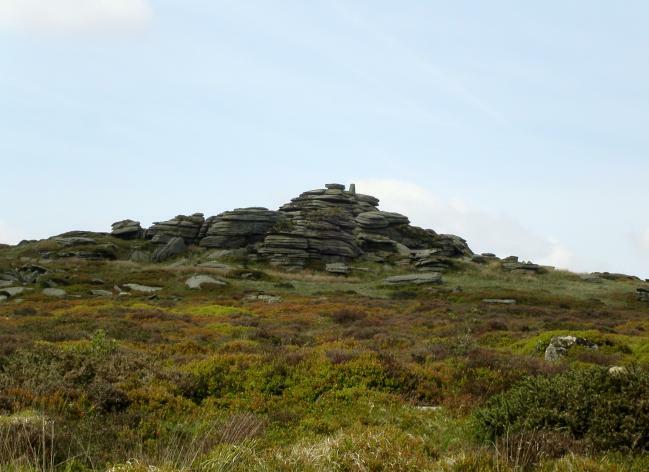 More great moorland views. 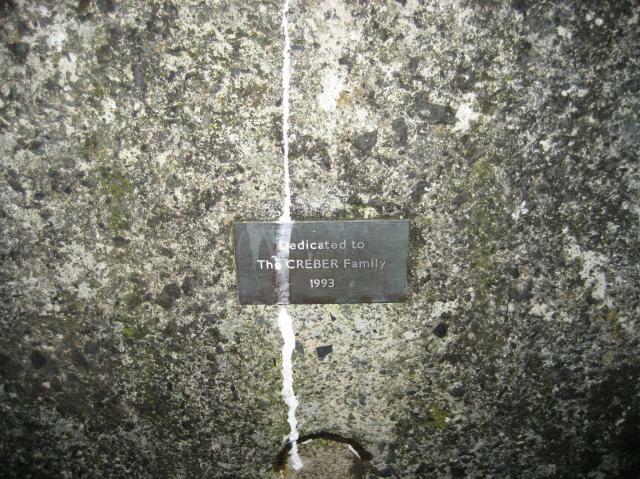 Pillar looks fine, it has a small plate attached to it "Dedicated to the CREBER family 1993". I had the bonus of it snowing on this visit. 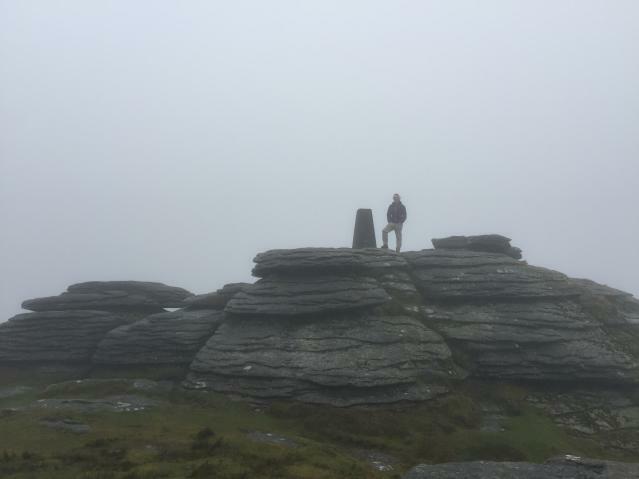 Typical Dartmoor trig with great views. 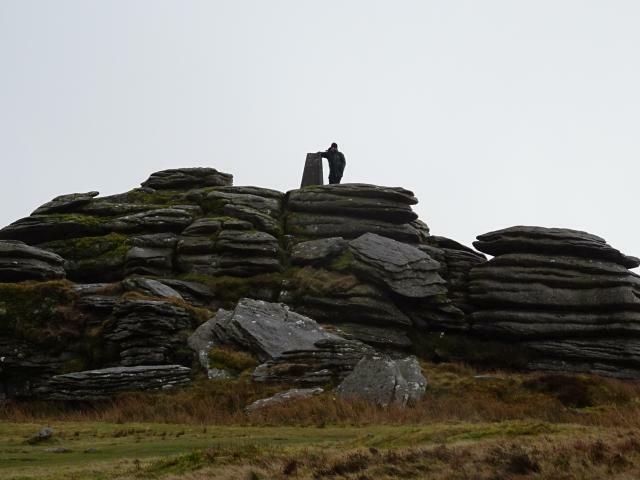 Perched on top of the tor. 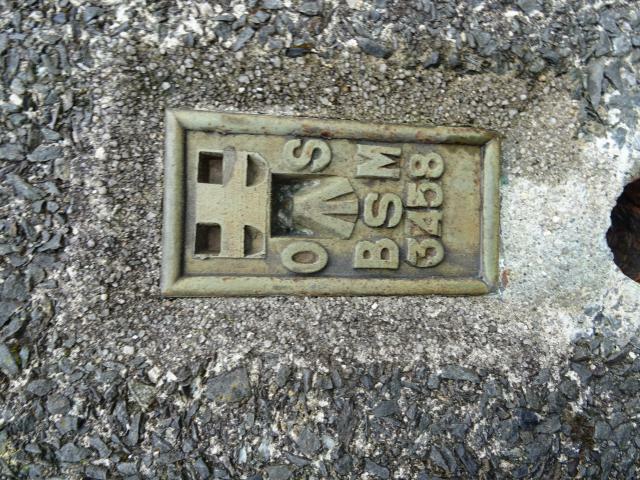 Plug with indented lettering. 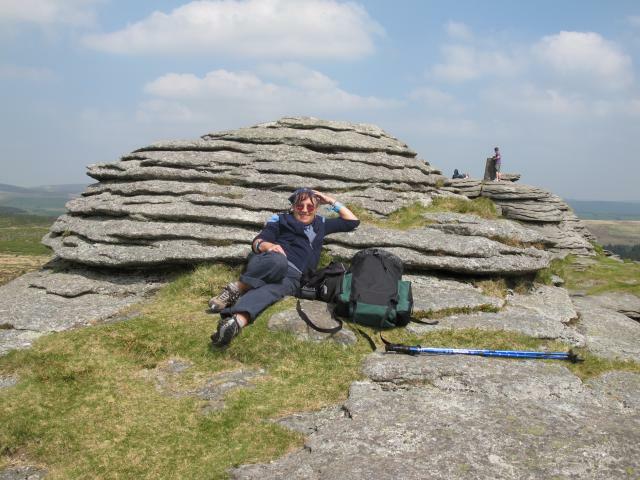 Dartmoor north south with Terry, Colin and Peter W.